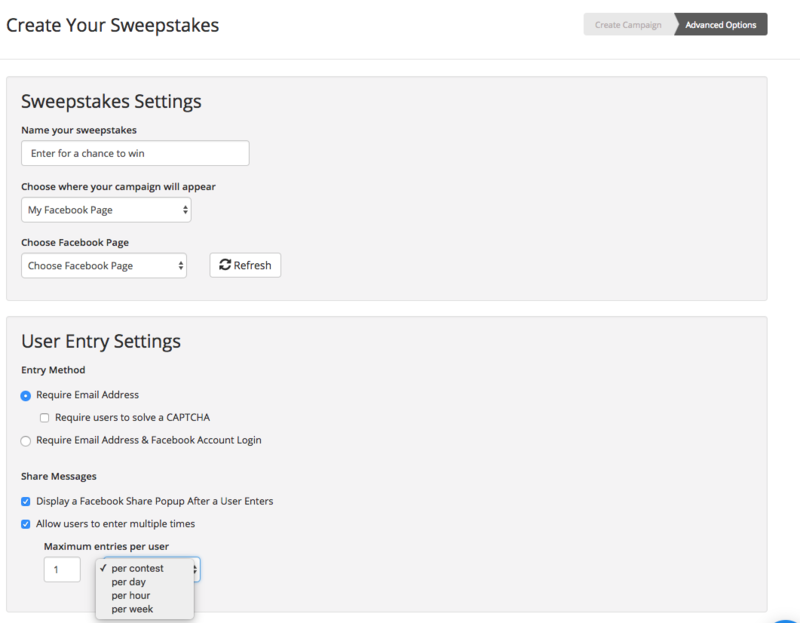 Contests are a great way to drive traffic to your page and engage with your customers. We offer a variety of different contest types depending on your campaign goals. Check out the following guide for more details on the different types of contests. 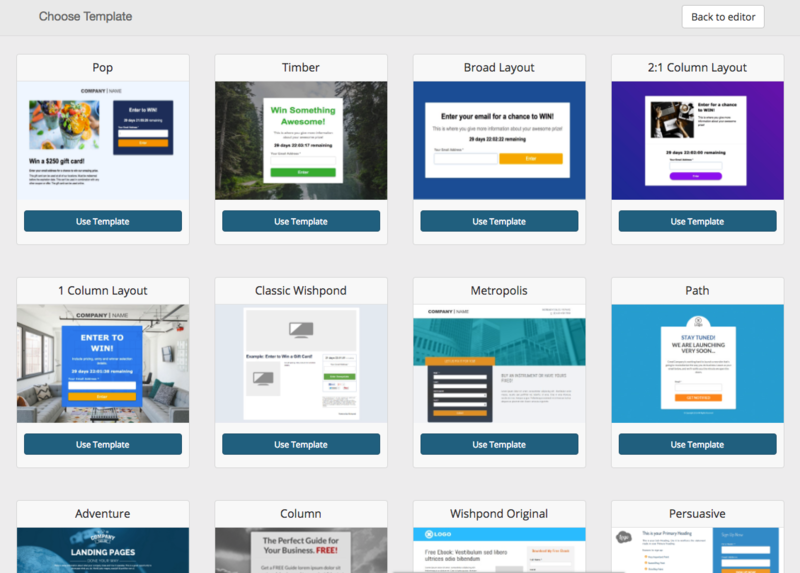 Choose the contest you'd like and then select a template to use for the contest. Then start designing the contest page. Hover over the area you'd like to change and click 'Edit Content' to change the text or add images. Click on 'Edit Page Background Style' to change the background color or image. You can add any custom CSS or JS to the page by clicking 'Edit CSS and JS' at the top right corner of the editor. 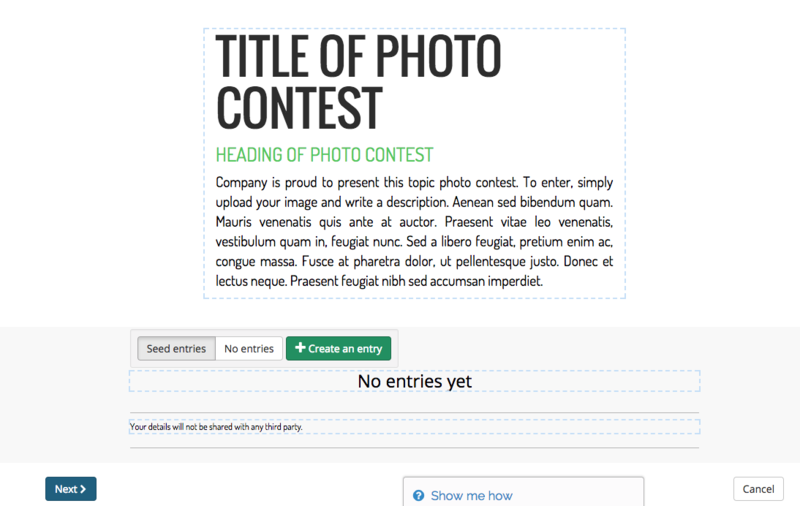 If you're not familiar with CSS check out our guide on Common CSS used for contests. 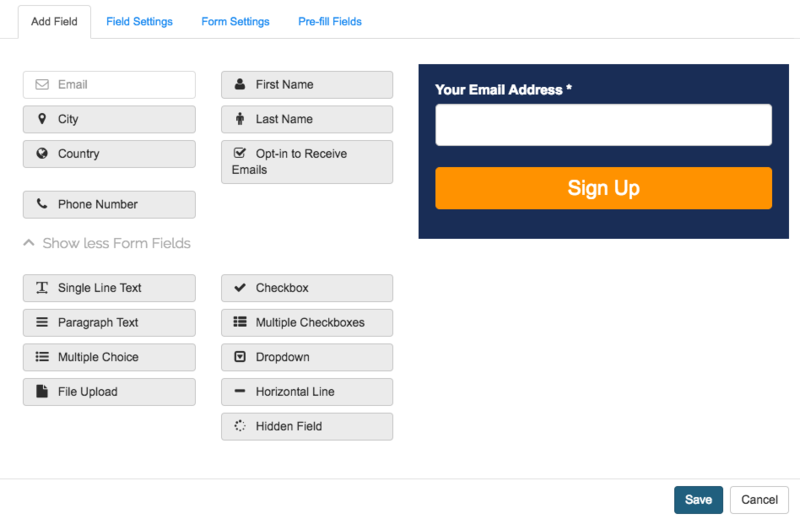 Clicking on form will allow you to add fields, and customize the form settings. Clicking on a specific field will allow you to select settings like making the field required and being displayed the contest gallery. 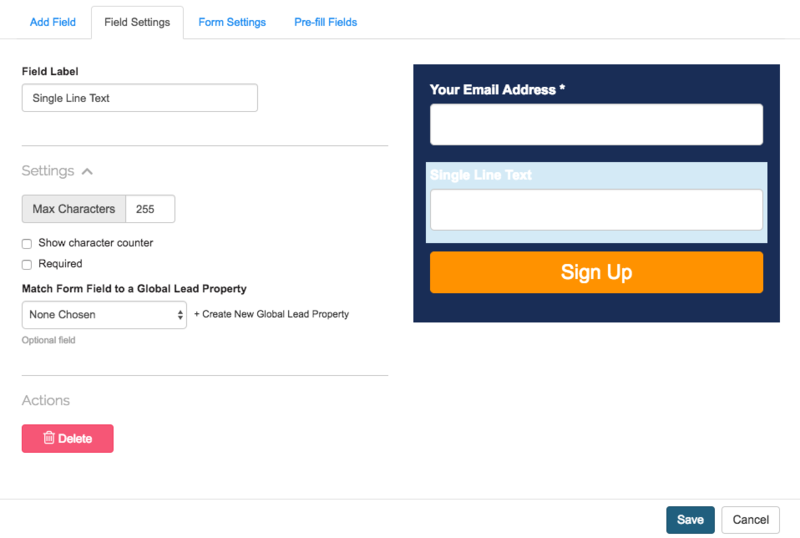 If you are adding a custom field keep in mind to set it as a lead property if you want to use it in automations or use it as a merge tag. Contests with a gallery can have entries uploaded to the contest page before the campaign starts. To do this hover over the entry gallery and click the green 'Create an entry' button. These will then display on the contest's page to be voted on. Once you've designed your contest, scroll to the bottom of the page and click 'Next'. The setting for the contest will vary based on the contest you're creating however here are some of the key things to think of when setting up your campaign. 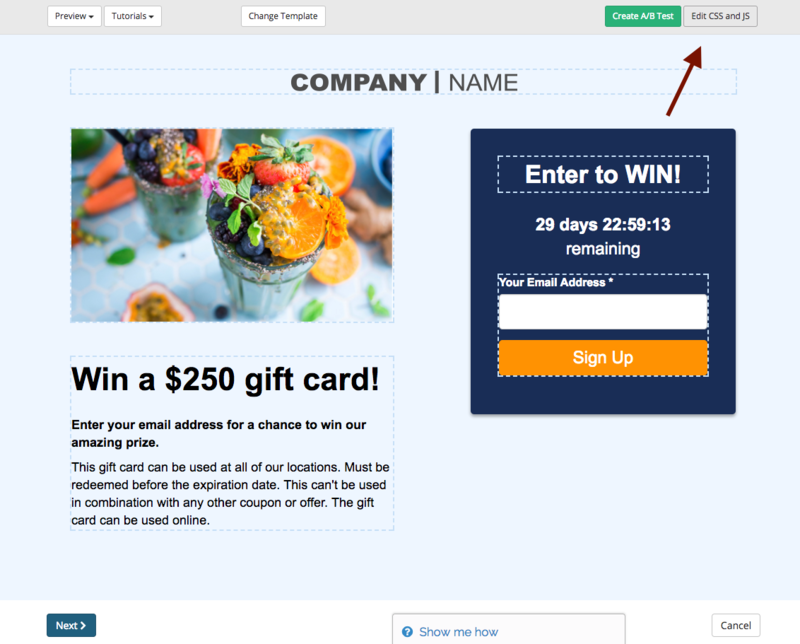 Sweepstakes includes a simply entry form, in the setting you can choose the entry method and share messages for the contest. You can also set the number of entries a user has. There is no entry form for hashtag contest however since the entries are pulled from instagram you can set the hashtag, require users to follow your account and including your handle(s) in their . 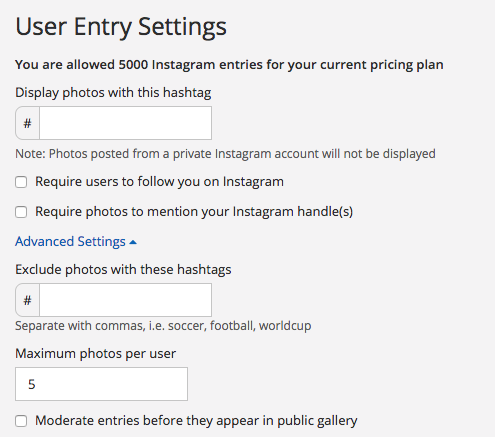 Keep in mind that these settings will then pull entries from public instagram accounts. 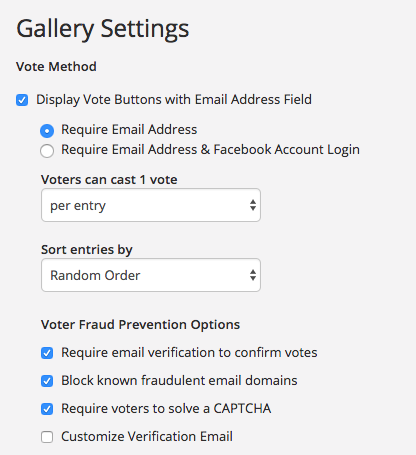 Since vote contests only have uploaded entries you can choose the vote method along with settings to help prevent fraudulent voting. 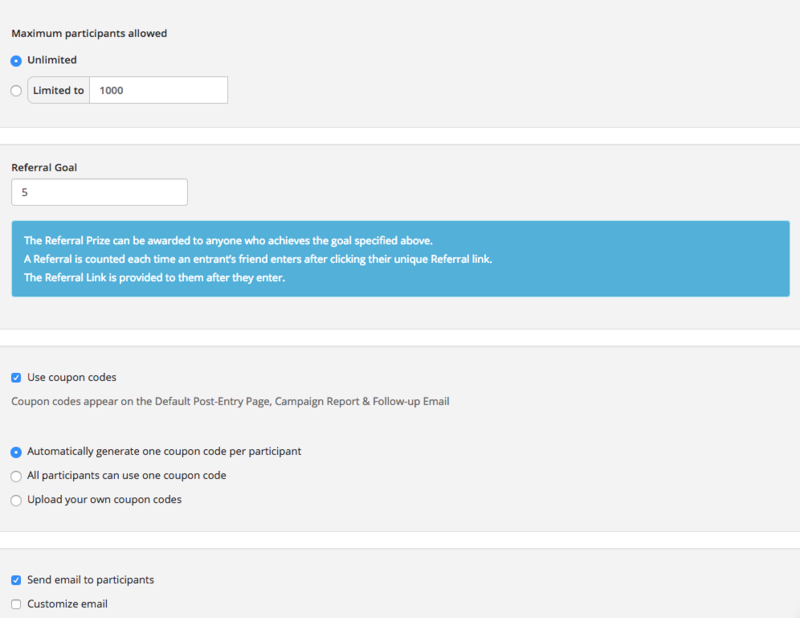 You can set the number of participants allowed in the contest, and the referral goal in order to win. If you want to have the participant with the most referrals win, you can set the referral goal to any large number to ensure no one reaches the goal. 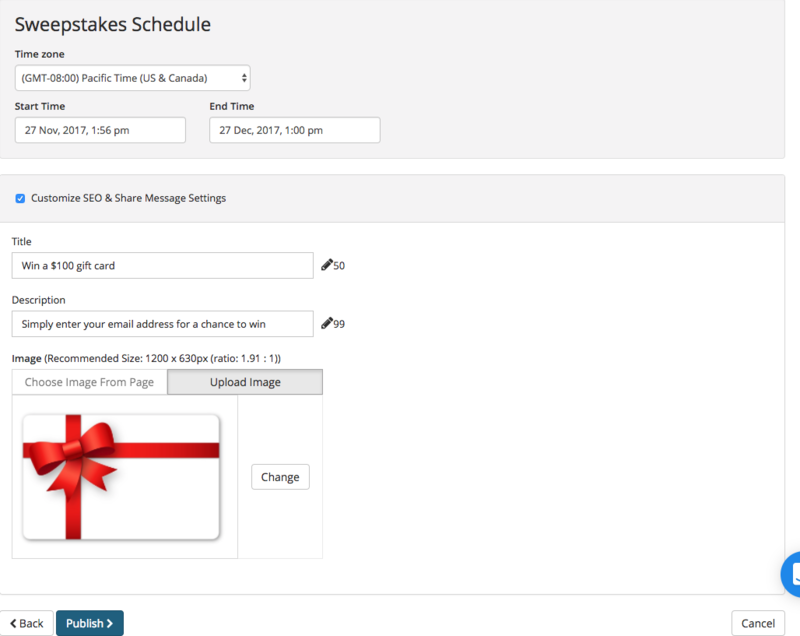 Once the contest ends you could then select the winner with the most referrals. 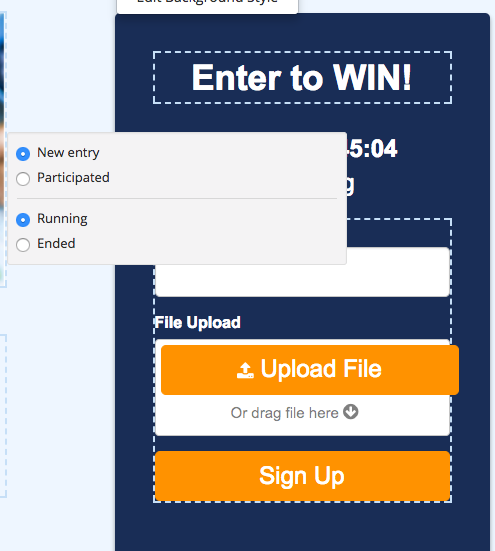 The coupon contest lets you choose between: a randomly generated coupon code, a single coupon code for all participants or you can upload your own. 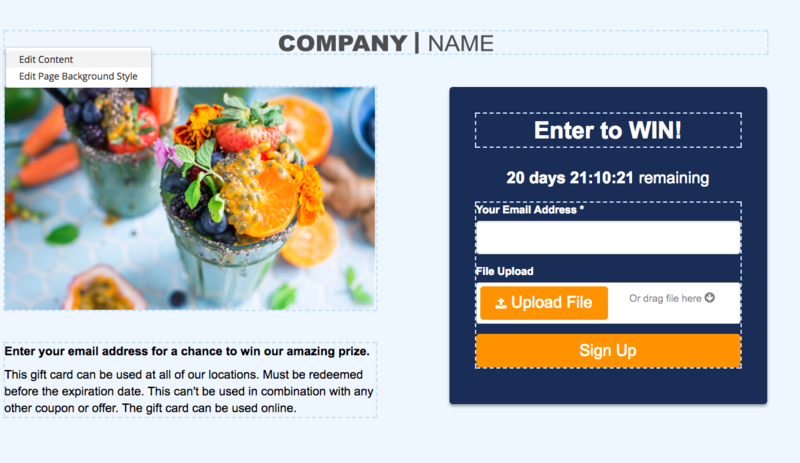 Once entered participants would be displayed the coupon in the form and emailed the code. 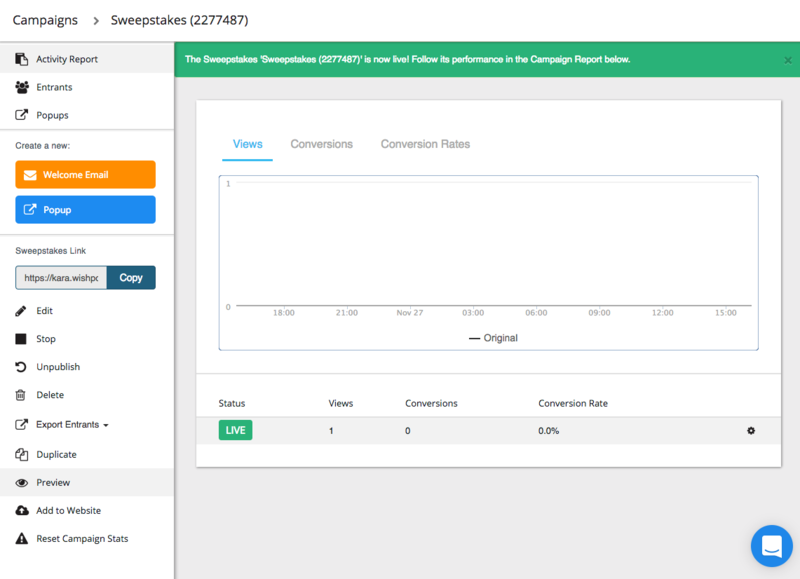 Once your campaign settings have been set schedule the start and end periods for the contest, and customize the SEO & Share message (when people share the campaign link this will populate with these details). Once the contest is live you will be able to view it by following the campaign link in the dashboard. Once you start gaining entries and votes you can export these in the campaign dashboard, along with photo entries from the campaign.